Take my opinion for what it’s worth. 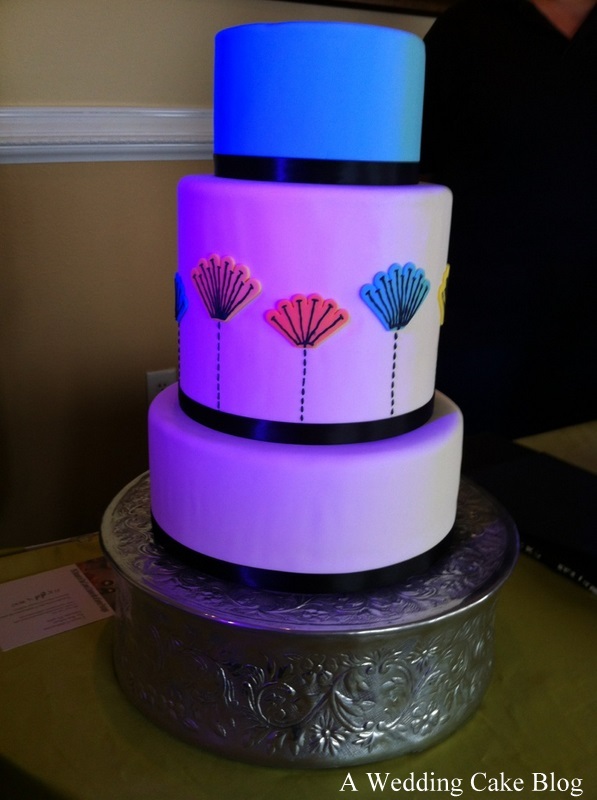 I am not a cake artist or a fashion forecaster (a real job…did you know that?) However, I have been knee deep in cake batter for the last year AND I consider myself a fairly trendy girl. Although it seems that trendy people never actually call themselves trendy…because that is so untrendy. So maybe I’m not. Whatever, I have thoughts anyway. While I can’t see things like the ruffle and chevron patterns on cakes going away just yet, there are a few new looks we should keep our eyes on in 2012. I assume a lot of them will end up on this blog! The Mini-Cake. 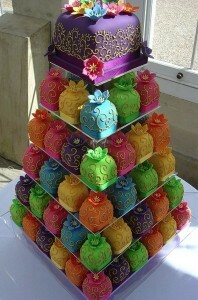 It’s not a cupcake or a cake pop, it’s a full fledged cake shrunk down to size. Very Alice in Wonderland if I do say so myself. (Note, I never consider Pinterest a source..however this image was actually uploaded by the user). Many Cakes. You read that right. Not mini-cakes. Many cakes. On blogs and websites I am seeing more and more gorgeous pictures of a plethora of cakes. I’ve seen three to as many as ten all in various colors or sizes but they all have a common theme among them that makes them match. It’s a trend I hope we see more of. 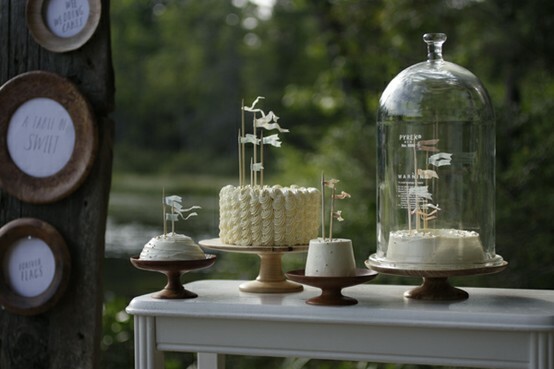 Minimalist Wedding Cakes. I am noticing an “M” theme here. 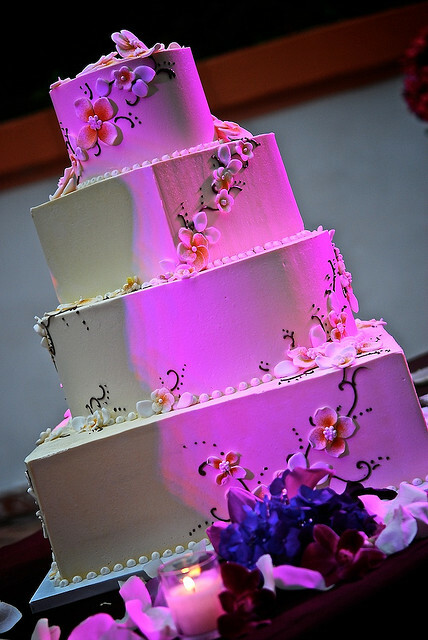 Wedding cakes are usually over the top and gorgeous. Occasionally we’ll find one with simple fondant and design but they can be pretty scarce (or eerily similiar to another cake we’ve featured). 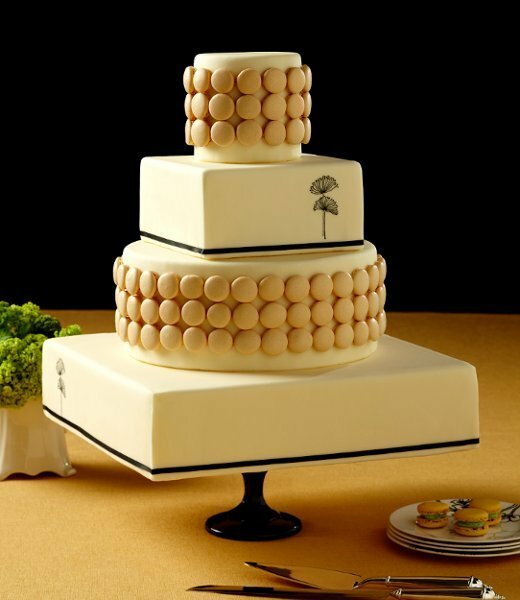 Let’s face it: there are only so many ways you can say, “This cake is white. It is also round”. 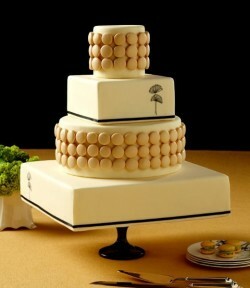 Now cake artists are coming up with alternate ways to stay minimal but always pack a little punch of creativity. 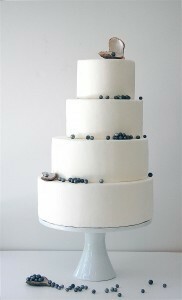 Like this cake that is stacked slightly off center with dark pearls (that may actually be blueberries) and an oyster shell. 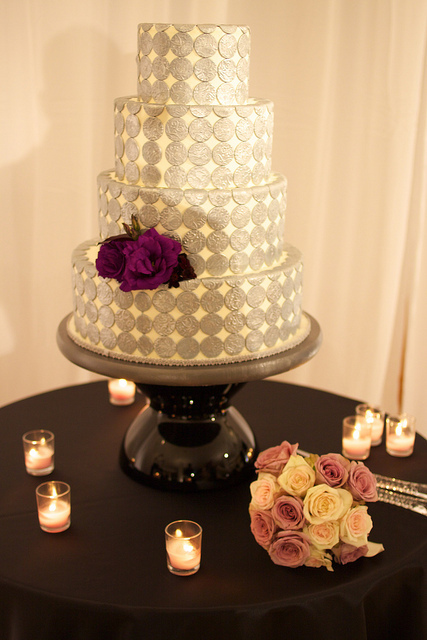 I know it will be another amazing year when it comes to Wedding Cakes. Which trends are your favorite? 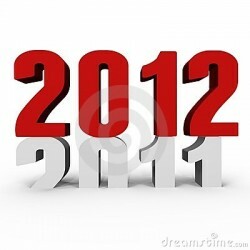 Which trends are you ready to see go? Personally I love ’em all and can’t wait to see what other goodies are in store for us in 2012!